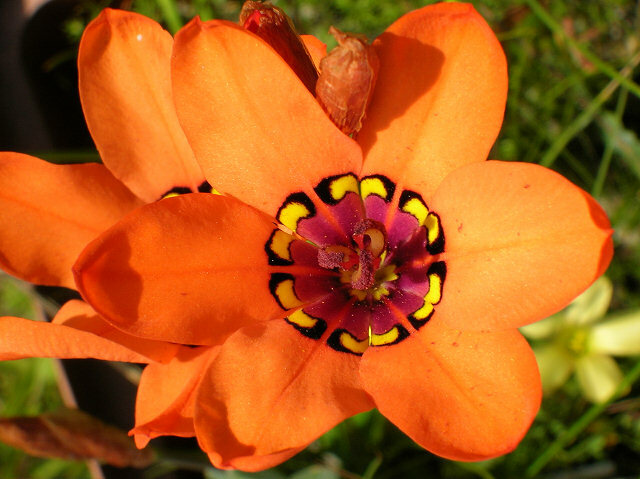 This is a volunteer-written encyclopedia about flower bulbs. 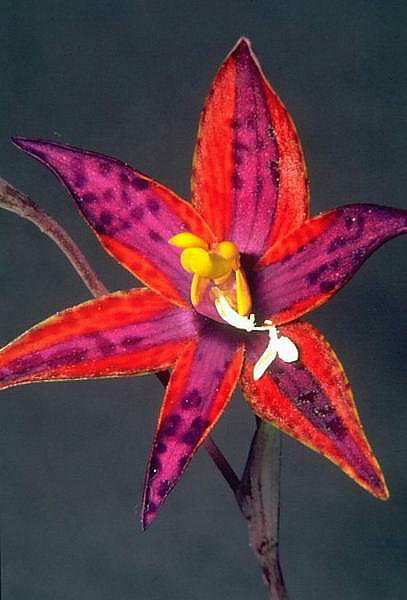 You'll find information on thousands of bulb species (with photos in most cases), plus selected hybrids. 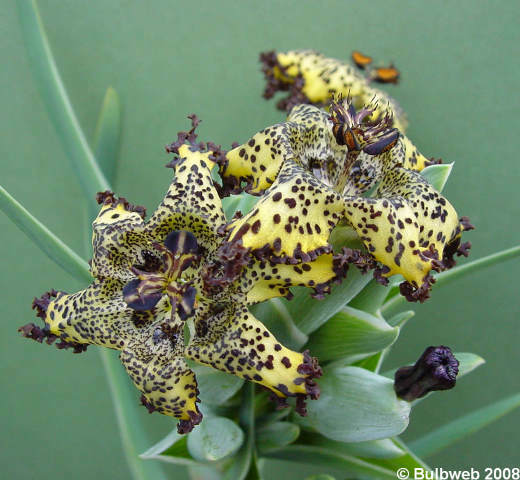 We also cover related topics like how to grow them, how to obtain them, our personal favorite bulbs, and where to see them in the wild and in gardens. 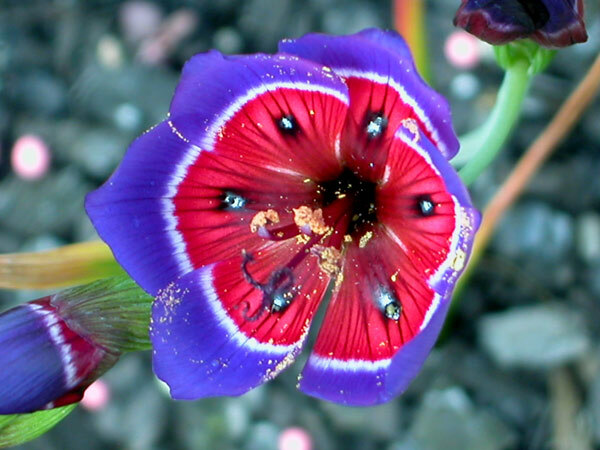 We include all "geophytes": plants with an underground storage organ such as bulbs, corms, rhizomes, and tubers. 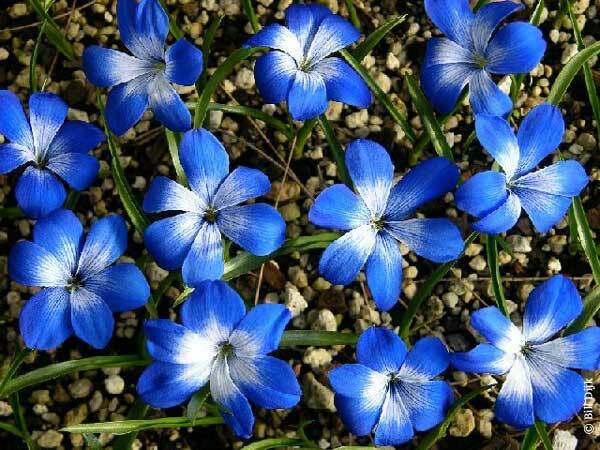 The common bulbs you can find in a garden center are nice, but pale in comparison to the beauty and uniqueness of many species bulbs and their lesser-known hybrids. The photos you see here are just a sampling of the incredible diversity that's out there waiting for you to discover it. 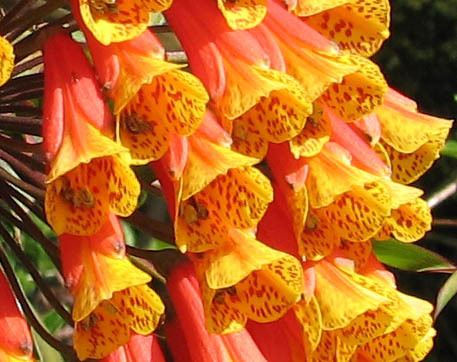 Many of these gorgeous plants are easy to grow, but almost unknown in cultivation. What’s worse, many of the species are also threatened with possible extinction as their native lands are developed into buildings and farms. 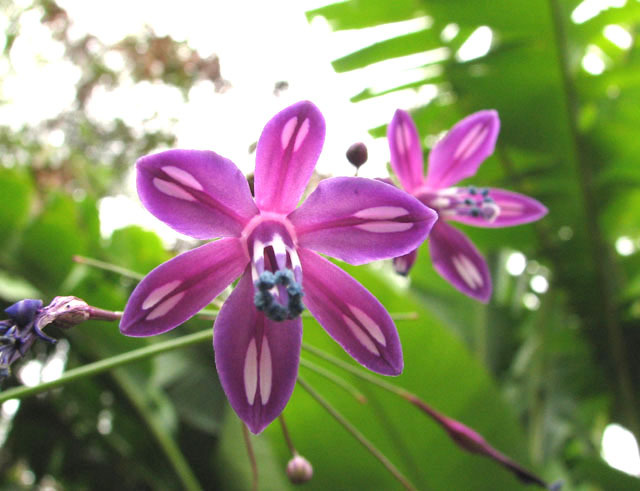 We’re devoted to spreading information about these plants, and teaching people how to grow them and keep them alive. 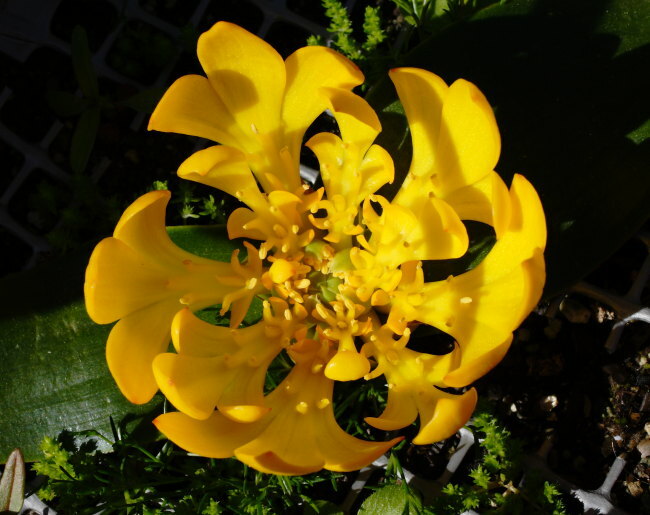 This guide was created by the members of the Pacific Bulb Society e-mail discussion list, a group of people from around the world who are interested in growing and gardening with bulbs. Our members range from experts to beginners. Membership in the e-mail forum is free, and open to anyone. Click on the link for more information on the forum, and also to search the archives of our online discussions. 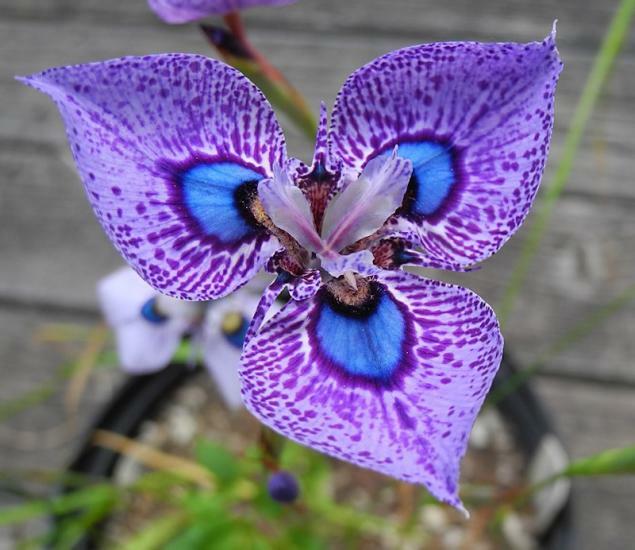 You're also invited to join the nonprofit Pacific Bulb Society, which conducts seed and bulb exchanges, and publishes a quarterly newsletter on bulbs. Your membership fee helps support the society’s activities, including this wiki. The links below take you to additional information on special topics. 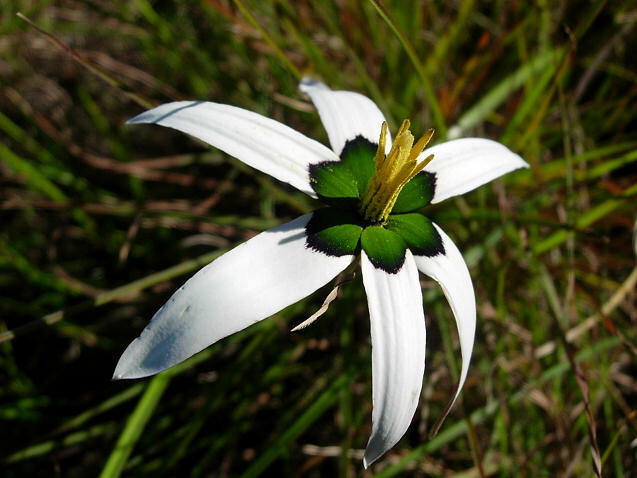 Links to web pages outside our wiki are preceded by a flower. Bulb Day If you don't know where to start, take pot luck with a random selection from the PBS wiki. Bulb Newsletter Complete set of Brian Mathew's bulb journal. Climate Gathers together links to other pages with climate information about specific areas (rainfall, temperatures, etc.) These factors influence which bulbs can be successfully grown. This page also includes discussion of bulbs that can be grown successfully in certain climates or places. Container Culture Pages relevant to growing bulbs in pots. Contributors Lists all the people who have added information or pictures to this wiki. 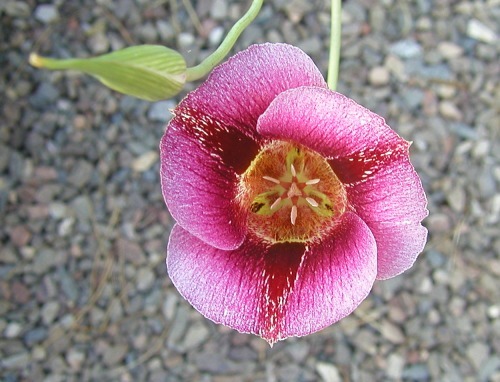 Genera Contains links to our genera wiki pages, one of the web's largest collections of bulb photos and information. Edibles Edible & Medicinal bulbs are listed on this page. 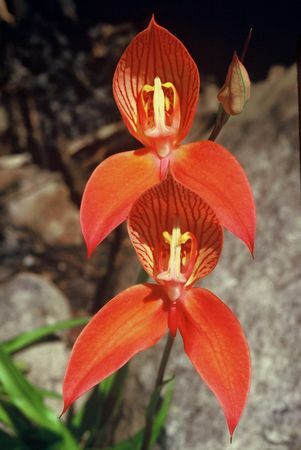 Families Lists the plant families with bulbous, cormous, tuberous, rhizomatous, geophytic, or related species illustrated or discussed on the PBS wiki. Favorite Bulbs Lists some of the favorite bulbs of members of this list as compiled from our topic of the week discussions including favorite bulbs by color. Geophyte This is a word used to mean "underground storage organ". This page describes and illustrates the Raunkiær Plant Life-Forms classification system. Geophyte is one of the life forms in this system. How to grow bulbs Gives some tips on how to raise species bulbs. If you're a newbie, this is a good place to start. How to grow bulbs from seed may also be of interest. Legacy Bulbs Reviews bulbs that outlast their gardeners. Miscellaneous The wiki page where we add information that doesn't quite fit anywhere else. 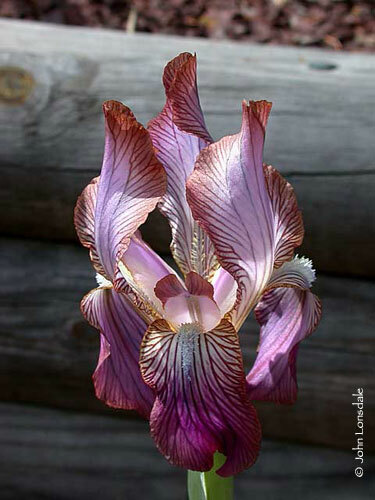 Mystery Bulbs We need help in identifying are illustrated and described on this page. Pests/Diseases Gives information about bulb pests and diseases. Places Includes special places bulbs are found in the wild, and in private and public gardens with bulb displays. References The wiki page that serves as a bibliography for our subject. It is a list of books and monographs that we have found very helpful. Shade Bulbs Bulbs that grow well in shade. Societies A list of bulb-related organizations around the world, many of which run seed exchanges. 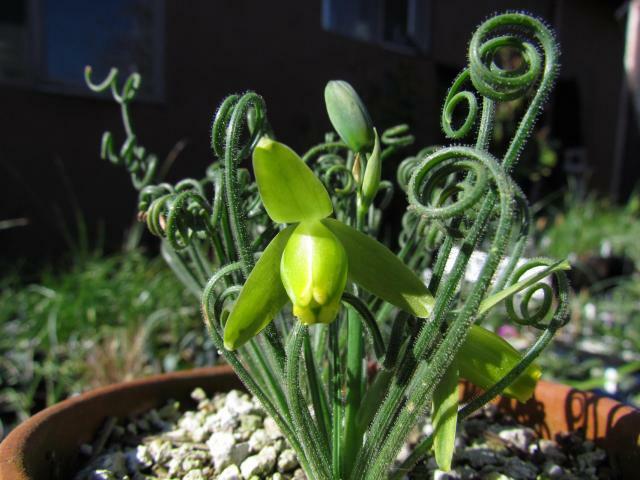 Sources Lists some favorite sources for species bulbs and seeds, compiled by the members of the PBS e-mail forum. Technique How to do stuff. TOW This stands for the Topic of the Week and includes links to specific discussions on the PBS list. Using This Wiki Links to all the how to pages that describe how to contribute to the PBS wiki. What is a "Bulb"? Describes how we decide which plants do and do not get included in this wiki. Videos Pacific Bulb Society channel on You Tube.